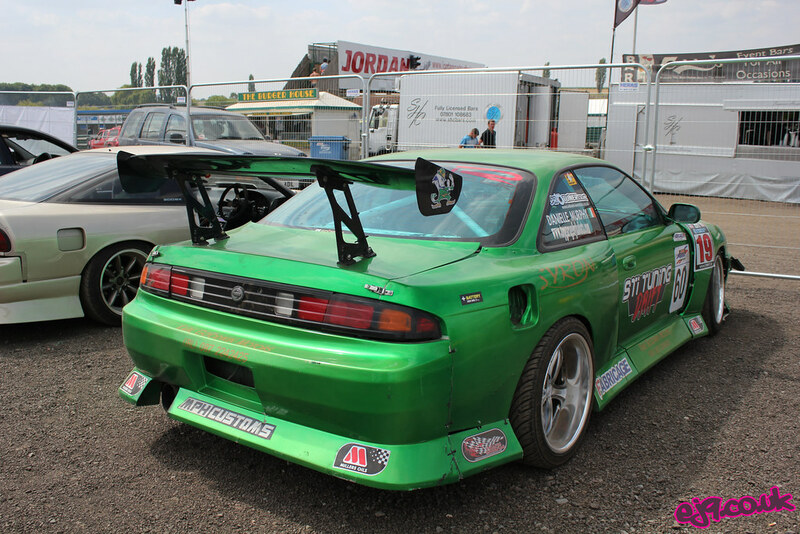 It seems a little ironic to be posting photos from an event held back in the sunny summer of 2011 now that I’m sat here, freezing cold, in the winter of 2012 but regardless – I thought they were worth uploading. 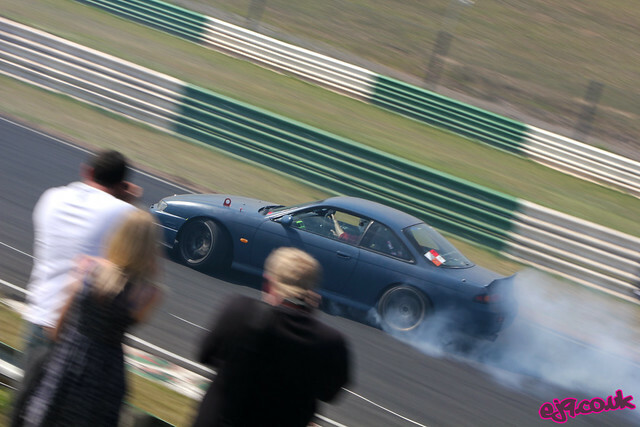 Above is Alex Law’s S14a heading towards the fast left hand sweeper on the Mallory circuit – and somehow I managed to capture Randum John, Gabbie and Jonny all taking pictures as well! 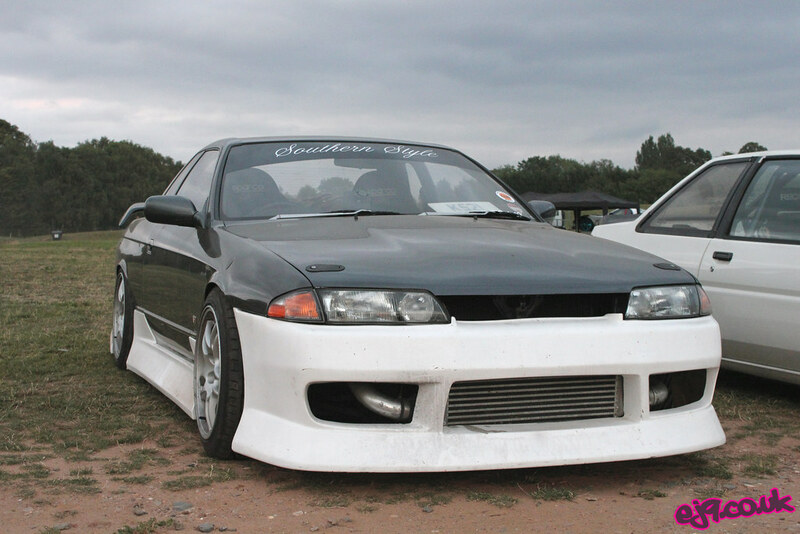 Below is Billy Sutton’s R32 wearing its fresh BN Sports aero, and to be honest I wasn’t so sure on this when I first saw it. Nowadays though it’s all painted up and looks absolutely fantastic, so I completely take back what I first thought. 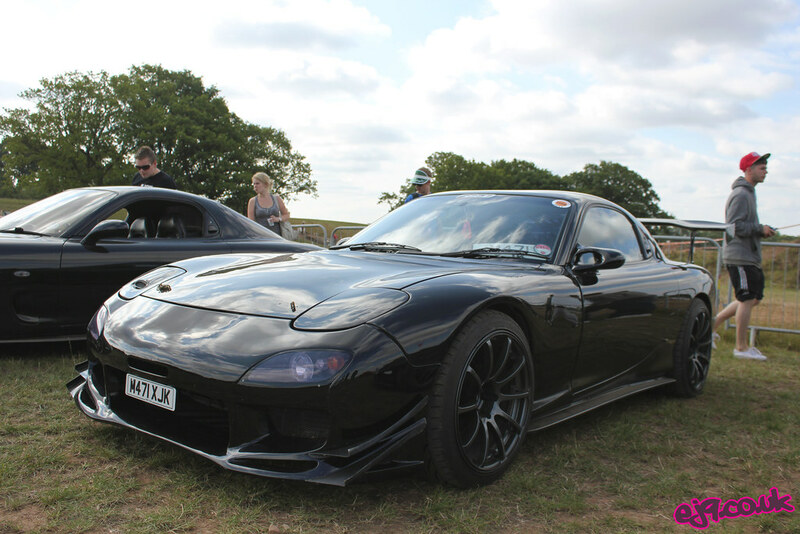 This FD3S was part of either the Mazda Rotary Club or FDUK club stand (I can’t remember off the top of my head). They had plenty of stunning RXs on display and this was definitely one of them. Over in the holding area next to the start/finish straight was Danni Murphy’s S14a – looking back I can’t actually remember seeing this thing out on track but I’m certain it will have been out there tearing it up.